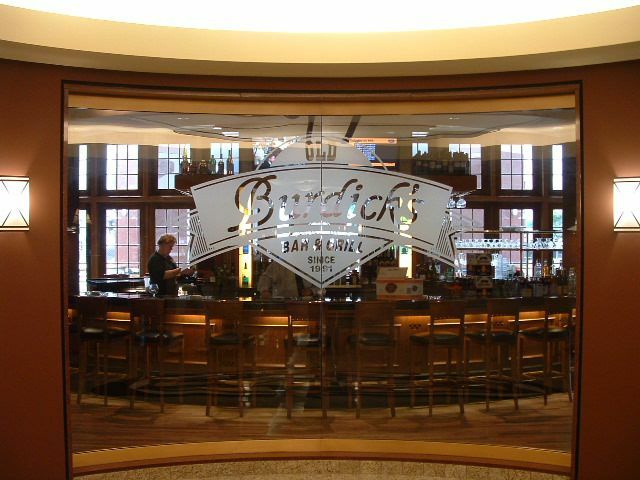 Old Burdick's Bar & Grill - Byce & Associates, Inc.
Design Program: What was once a popular informal dining spot for young and old, Old Burdick’s Bar & Grill has been renovated into a very spacious, interactive sports bar that would meet the needs of any sports enthusiast. The bar itself is even in the shape of a football. 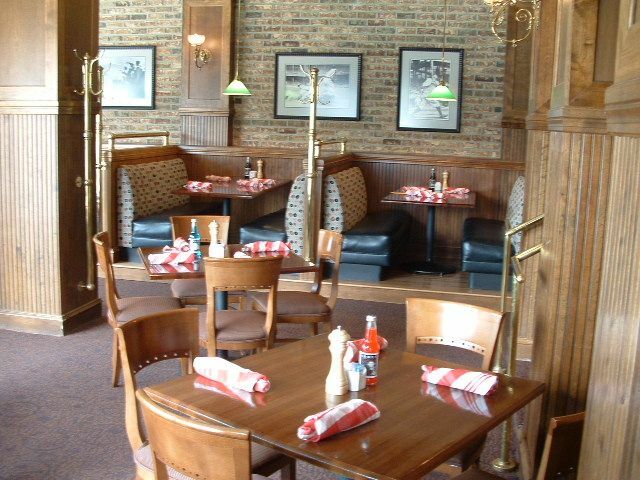 With the additional space, Old Burdick’s also has patio seating for those warm afternoons and evenings. 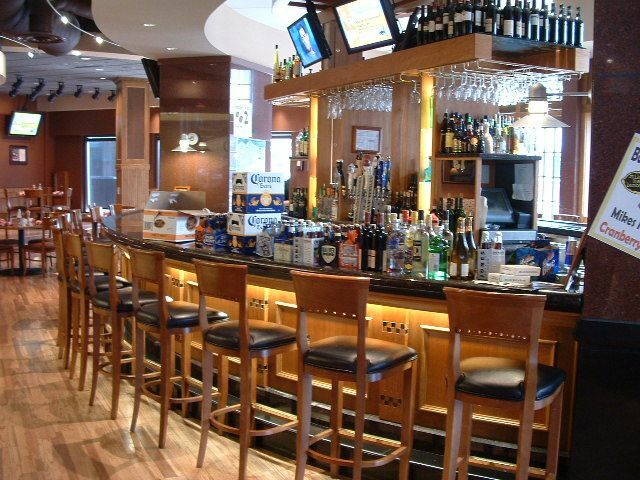 The bar is located in the lobby of the Radisson Plaza Hotel and is also accessible from the street. 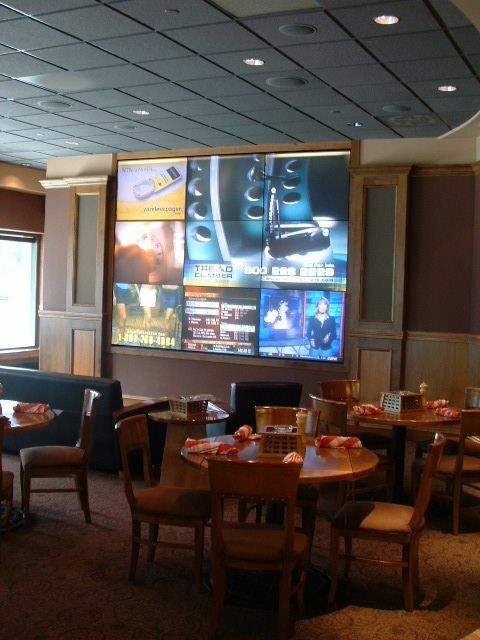 Byce & Associates, Inc. designed the HVAC system along with the complicated lighting design in the bar area of this project. Design Challenges: It was difficult to design the lighting space because of the variety of architectural lighting features. When designing the HVAC system it was a challenge having exposed ductwork and having to route the ductwork around open and enclosed ceiling areas.